There has been a debate on whether the Deauville was ever made in Japan that continues today. This is perpetuated by owners claiming that theirs is "Made in Japan". Scouring the old UK Deauville Owners forum I found claims that if the headlight dipped to the left/right it was made in Japan, but, if it dipped up/down then it was made in Spain. Having read all the Honda motorcycle press releases and Annual Reports available on-line, articles in magazines and the biking press and the history of Montesa motorcycles, everything points to the Deauville having been built in Spain from the start in 1998 when the NT650 was developed into the NT650V, the Deauville. Honda acquired a majority shareholding in Montesa in July 1985, and a year later on 1st July 1986 they gained an 88% holding while at the same time entering into an agreement for continued production of Montesa off-road bikes. They then spent another 5 million US dollars on modifying and updating the factory, all in return for development know how and assistance in developing Honda’s off road range of motorcycles. Production of Deauvilles started for release in 1998, as a "bike for Europe". 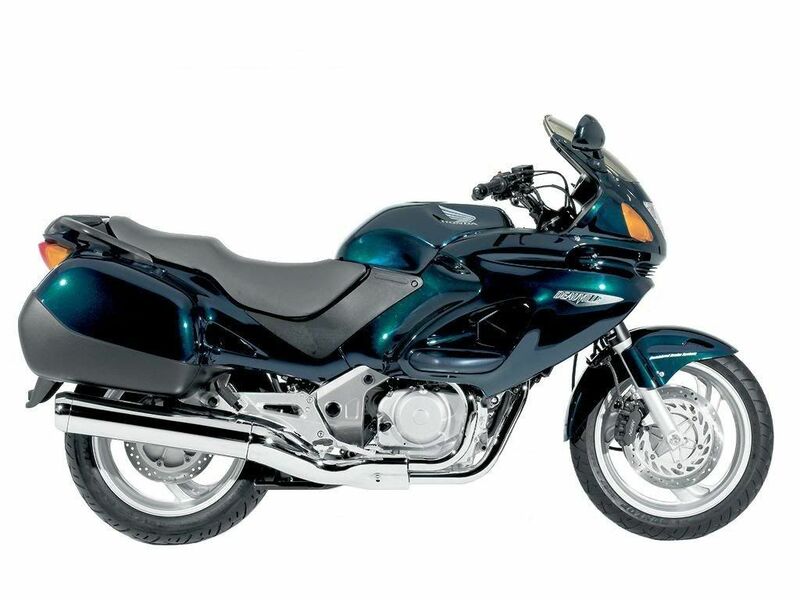 In 2002 production of the Transalp, Varadero 1000 and XL125V (mini Varadero) was moved to the factory (from Italy). The Montesa factory is located just outside Barcelona. In summary, I'd be very surprised if they made the Deauville elsewhere in the world to cover the Asia and sub-continent markets as Europe is the biggest market for the model. Despite selling over 3 million motorcycles in India alone in 2007, not a single Deauville was sold there, and India was Honda’s biggest motorcycle market up to 2008, when China became the #1 market in terms of volume sales. Production of the Deauville in Spain has been set at 8,000 units for the 3rd year running for 2009. When talking the model numbers/volumes Honda normally deals with, 8,000 units represents a niche market. The main market for the Deauville outside of Europe is Australia, but, even there it sells in very low numbers and although there are a few in Canada, in will enter the American market for the first time at the end of 2009 as part of the 2010 model year line-up, where it is being marketed as a "Sports Tourer" and smaller brother to the Pan European which hasn't sold as well as expected there due to highly publicised "handling issues". If anyone knows and has evidence to the contrary then please let me know using the "contact me" email link (left side of this page). 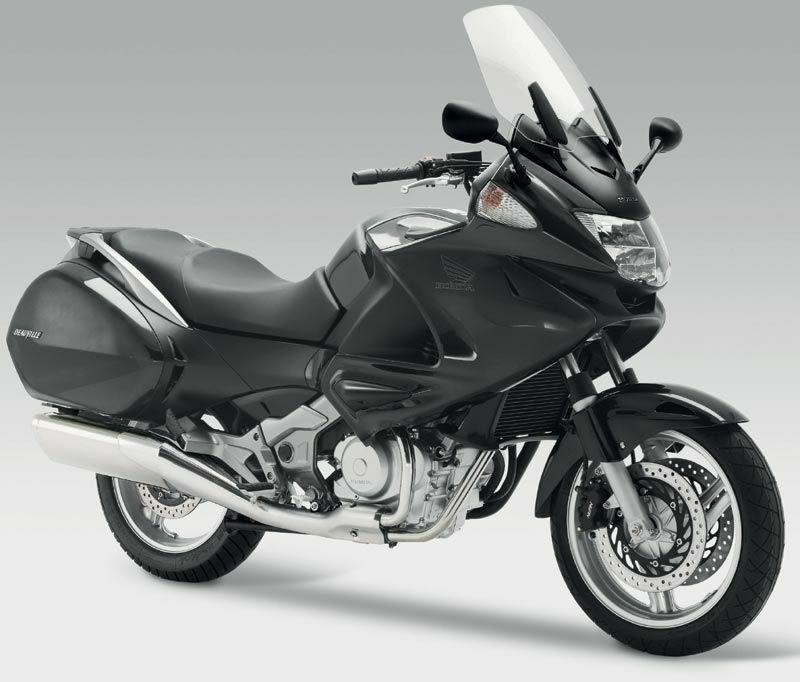 Update: September 2009	- Honda announce that production of the NT700 Deauville will be moved to Itally where it will be made alongside the Varedero models to allow the Barcelona facility to focus on off-road models. The Deauville was based on the NT650 Revere which was made in Japan. For further background on the Revere and pre-1998 variants see this link from Eirik Skjaveland, and this link for some engine history and time line XRV's V-Twin engine. 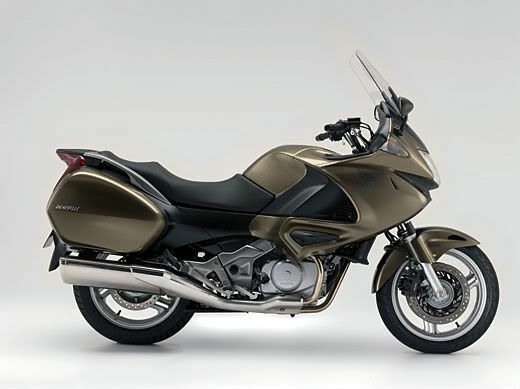 1998 - NT650V Deauville debuts based on the Revere, it features fully integrated three-quarter fairing and panniers (left 18 litres; right 16.7 litres). The fuel tank capacity enlarged to 19 litres. The 52 degree V twin has been re-tuned for stronger low-to-midrange torque with 2 spark plugs and 3 valves per cylinder and puts out 55bhp. Michelin Macadams are factory fit. Brakes are Brembo dual piston made under license and are not linked. 1999 - minor revisions, main one being the fitting of Honda Immobiliser Security System (HISS mk1 version). 2001 - mid year update, from June, to HISS (now mk 2 version - retained through to end of the 650 model's life). The rear brake retaining bolt is replaced with a beefier item after some early ones snapped during rear wheel removal. Sintered brake pads become standard fit. 2002 - Larger-capacity panniers (left increased from 18 to 24 litres; right increased from 16.7 to 19.5 litres). Panniers hinges more secure (now internally mounted) and changes also to the alloy foot rest mounting plates, silencer mount and lower pannier mounts (which were now painted). Optional "big lids" are available that further expand the panniers’ carrying volume from 24 to 35 litres (left side) and from 19.5 to 30.5 litres (right side), permitting the carrying of objects the size of a full-face helmet. The engine is modified with lightened parts to reduce vibration, a higher ouptut alternator fitted as earlier versions found to be marginal in use and a catalytic converter fitted to meet EU emission laws. Clutch plates are uprated and gearbox internals changed to give a cleaner gearchange and remove the "slack" that is in the pedal above 5th gear on earlier bikes. Nissin linked braking system replaces the earlier Brembos and front brakes upgraded to 3-piston calipers. Front end received a plain/"clear" headlight lens. The background to the facia clocks (speedo & rev counter) are given a "more modern" looking pattern replacing the plain black. All 1999 - 2001 models have a front wheel hub of approx 130mm width. From the introduction of linked Nissin brakes in 2002 the front wheel hub is approx 117mm for the remainder of the 650's production. Front wheels are not interchangeable between non-linked Brembo braked bikes and linked Nissin braked bikes. 2004 - minor changes, the main one being "always on" headlight and the addition of hazard flasher to the indicator system and hazard light switch replaces lights on/off switch which is no longer present. New larger-capacity battery (up from 9AH to 11.2AH) fitted. New chrome-plated gear shift change pedal, and painted step holders and disc brake inner rotors feature "enhanced corrosion resistance for assured durability". 2005 - headlight finally revised to give a decent beam and power output (but still an H4 60w/55w bulb). Right (r/h/s) pannier enlarged in depth to match the left (l/h/s) so that visually the panniers look "balanced" (just like the pre-2002 models). Sizes now 24 litres (l/h/s) and 22.5 litres (r/h/s). Gearbox update further improves the change quality but re-introduces the "slack" that was in the pedal above 5th gear on pre-2002 bikes. 2006 - NT700 introduces a complete restyle. Early ones are available in limited numbers (mainly press release bikes) in late 2005, but supply problems delay availability until April/May 2006. Engine increased to 680.2cc with 1 spark plug and 4 valves per cylinder, power is up nearly 20% on the 650. - New PGM-FI fuel injection system. - New HECS3 oxygen-sensing catalytic low-emissions system. - New 1-litre larger capacity fuel tank (19.7 litres). - New larger-capacity integrated panniers. - New through-hole between panniers facilitates packing. - New seat construction and handlebar position. - New wider-coverage front cowl design. - New ‘piggyback’-style dual multi-reflector headlight. - New 2-position adjustable windscreen. - New, more modern instrument panel design. - New 55mm longer rear-view mirror stalks. - New slimmer sidecovers for easier reach to ground. - New larger-capacity glove boxes. - New ever-on hazard lights. - New ABS version also available - a £500 cost option that 90% of buyers opted for.. The new screen is manually adjustable for height (2 positions - high & low - requires 20 minutes use of spanners). Combimed brakes with ABS (the popular seller, non-ABS is £500 cheaper but sells in very low numbers). L/h/s cubby hole now locks and r/h/s doesn't (opposite to previous models). Panniers now linked internally (baguette hole). Larger-capacity panniers (left increased from 24 to 27.4 litres; right increased from 19.5 to 26.7 litres). Behind the vertically stacked headlight (now twin H7 bulbs) there is now a new instrument panel, revised layout complete with fuel gauge. Original factory fit tyres are now Bridgestone BT-020s. What Honda didn't shout about was that the rear sub-frame assembly went from being manufactured in high grade tubular steel to thin wall steel square box section, a change one has to assume was made for cost, and weight saving reasons because it doesn't look anywhere near as good as the round tube used on the 650. 2008 - multi-position (5 heights) screen fitted, maually adjustable without the need for spanners (push forward at top, slide up or down, push back into place) and a motorised option is available (expensive). 2009 - no changes from 2008. 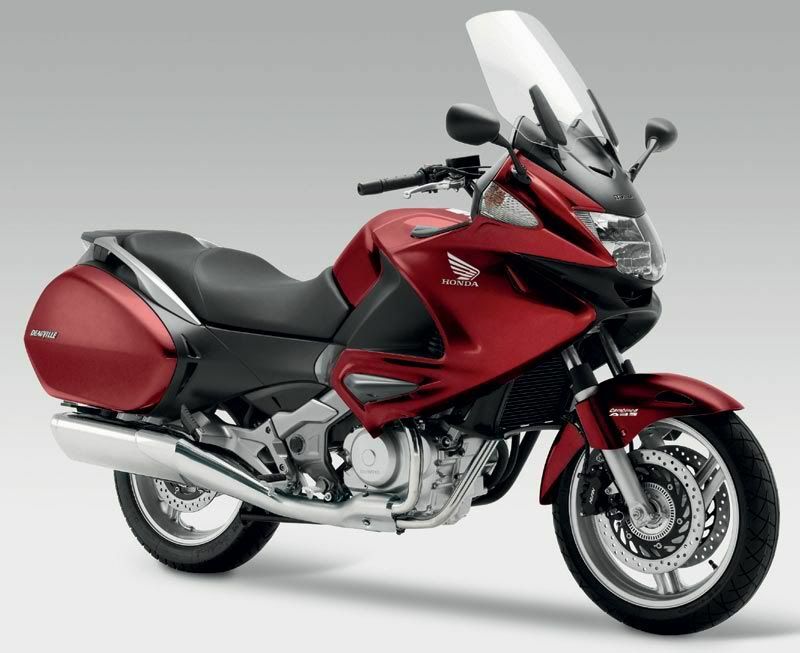 4th September 2009 Honda announces that for the first time in the model's history, the Deauville is to go on sale in America as a Sports Tourer. 2010 - no changes from 2008/2009. American bikes use lower output engine from Euro spec Transalp. 2011 - according to Honda's press office, no changes from 2008/2009/2010, but, they have a habit of not telling in press releases of changes that they consider "evolutionary". But just what do you compare the Deaville with? 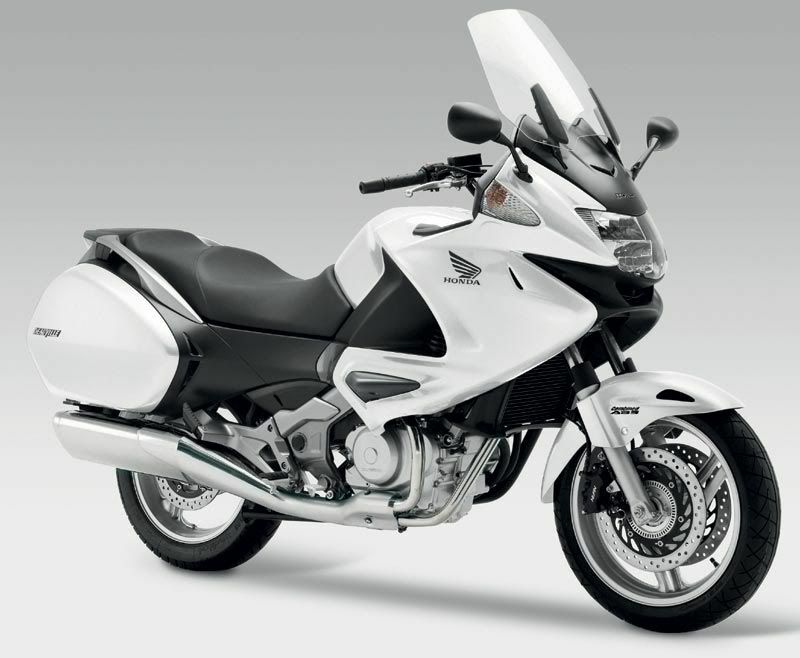 Just about the only Powered Two Wheeler with similar carrying capacity and practicality is the Suzuki Burgman 650. It too has a twin cylinder 4 stroke engine with similar performance, but, it's a scooter. Suzuki also sell the Gladius 650 and the lovely SV650, but weather protection and practicality is well down that provided by the Deauville. The only other shaft drive bikes with fitted, integral, panniers are 1000cc or bigger, and there are none with a smaller engine. Closest contender is the Moto Guzzi 750, but you'll have to fit Givi or similar luggage - and performance is very similar to the Deauville. There are cruisers with shaft drive like the Yamaha XVS650 Dragstar and Suzuki M80, both with similar performance but not the ground clearance, handling, long distance comfort or practicality. So in the sector it's in it does all that it needs to. It's not competing with sports 600s or 675s. It's not even competing with the 650 Bandit or the new Yamaha Divvy 600. The Deauville is a niche motorcycle, and in that niche market it is THE only contender. Other manufacturers are offering "ST" versions of models in their range (Aprillia with the 750 Shiver, Suzuki with the DL650 V-Strom and BMW with the F800ST) but they are lash-ups compared to the purpose built Deauville. So gutless in comparison with those in it's sector? No, it's right there on the money. 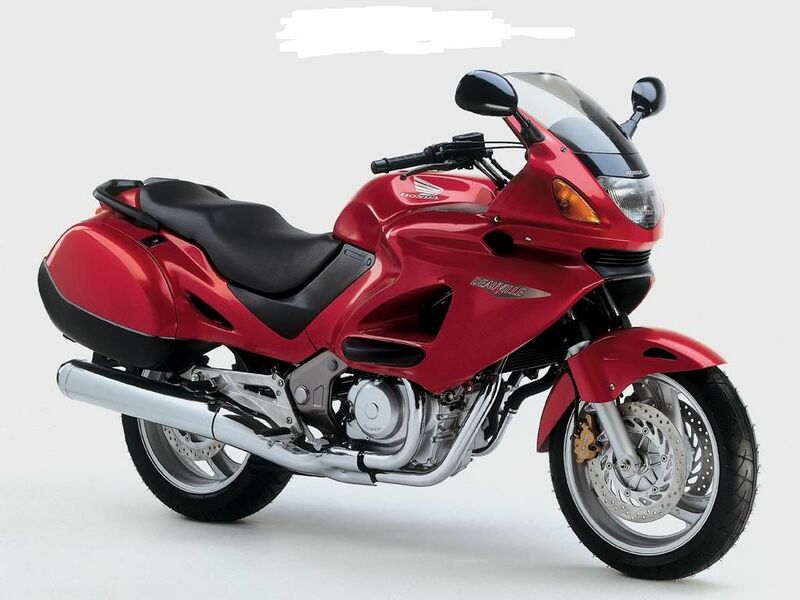 Recognising this, Honda announced in September 2009 that they are now taking the Deauville to America badged the NT700 as a smaller, more manageable alternative to the ST1300 Pan European which hasn't sold as well there as expected following highly publicised handling issues.